LASTMA dismisses 20 over corrupt practices – Royal Times of Nigeria. 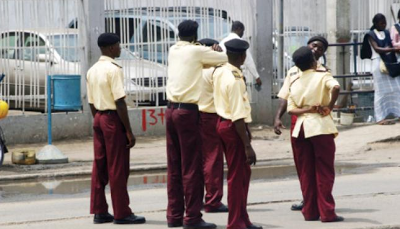 The Lagos State Traffic Management Authority, LASTMA, says it has dismissed 20 of its personnel over corrupt practices. LASTMA’s head of public affairs, Mahmud Hassan, confirmed the dismissal to journalists in Lagos. He said; “The management of the agency has dismissed 20 traffic officials and sanctioned 20 others for offences ranging from extortion, misconduct to indiscipline. “The actions of those dismissed were considered not to be in tandem with the agency’s new philosophy, rules and provisions of the Lagos State Civil Service. “The decision was taken by the Lagos State Civil Service Commission at the end of its Policy Meeting. “The meeting considered the minutes of the Personnel Management Board (Disciplinary) of LASTMA and representations made by the traffic officials involved in the unwholesome acts. “All the dismissed officials had been directed to hand over all government property in their possessions, including staff identity cards to the agency’s head of administration and human resources, immediately,”.